On this occasion I break my own rule because I am intrigued by the suggestion that I should be both shot and strung up. I thought that this would be overkill (literally) since there would not be much point stringing me up if I had already been shot. Discussing this after Mass this morning, my MC did point out that the stringing-up might be a kind of ceremonial celebration of the shooting. That could be a temptation, but such a spectacle, especially in our internet age, would be likely to backfire in PR terms for the gay community. (Certainly it would seem especially pointless, if the stringing-up happened first, for there to be a waste of ammunition peppering my already lifeless thorax.) At any rate, if there were to be a ceremonial post-shooting hanging, I hope that I could have a cross, acolytes and a thurifer. Although Fortescue doesn’t have any specific instructions for such a ceremony, my opinion would be that I should have a purple stole and the servers should wear plain cottas. Modern liturgists might suggest white vestments and decorated cottas (or polyester albs) for a "celebration of the life of..." but I would rather emphasise the need for atonement for my sins. 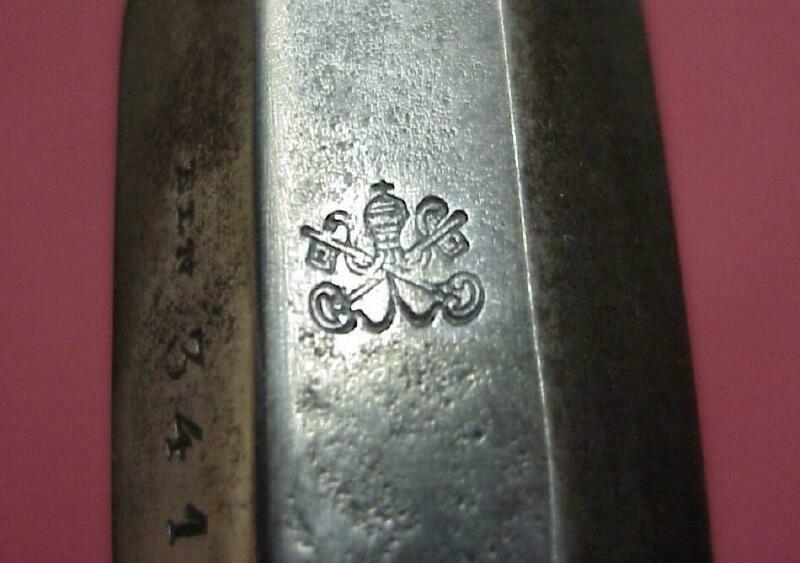 The thought occurred to me that if I needed to be shot, I would consider it a favour if the weapon used were the one pictured above, the early Remington Rolling Block which is a copy of Remington’s M1867, built under license by Wesley Richards in Birmingham and used by the army of the Papal States before their defeat by the forces of the Risorgimento. 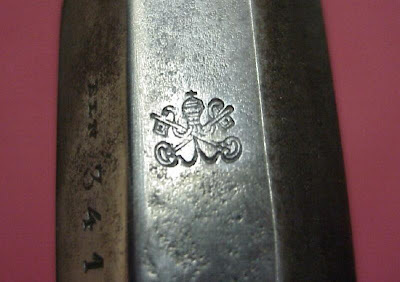 On the top of the Nock’s Form (the flat section of the barrel adjacent to the receiver ring) there is an image of the Papal tiara and the keys of Peter. The traditional thing on such occasions is to shout Viva el Cristo Rey! though I am also attracted by Blessed Noel Pinot’s Introibo ad altare Dei. If it were to happen, I pray that God will give me the grace to do the right thing.